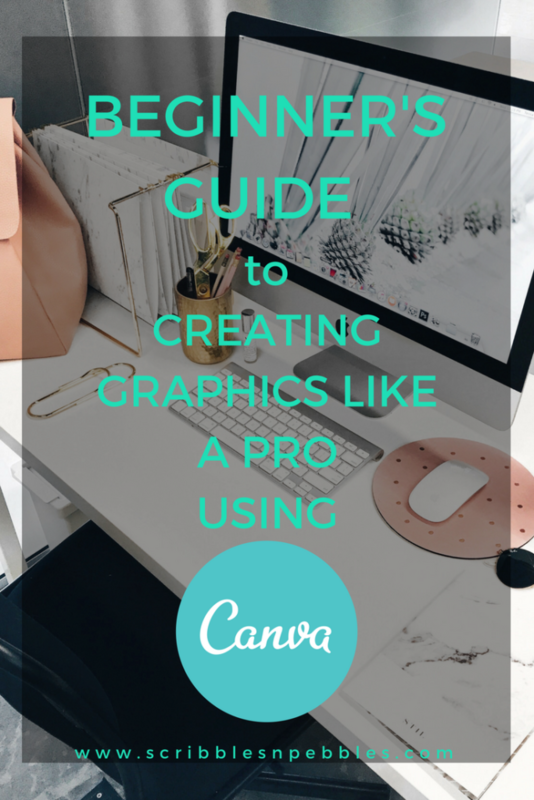 Beginner’s Guide to Creating Graphics Like a PRO Using Canva. Being a blogger means, taking charge of everything that is related to your blog. When I said this, I am sure almost all of us who are blogging can agree. You are the writer, the editor, the photographer, the social media manager, the SEO analyzer and every other role you need to run a blog. Except for those who are running extremely big blogs and hire a personal assistant or virtual assistant (VA) to help them run their blogs. One of the most important factors for a successful blog is the graphics used in it. Research has shown that blog post or social media post with the best visuals are more likely to get more engagement. And who doesn’t want that? 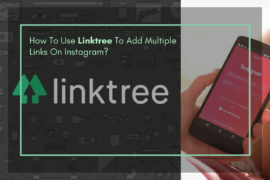 So there are two options to get graphics done for your blog/social media. One is you do it yourself and other is pay someone else to do it for you. You can get it done from someone on sites like Fiverr and Freelancer. But there is no point in wasting money on something that you can do yourself. I’m sharing my secret today. I love beautiful graphics and more than that I love creating them. All the graphics I’ve used in my blog posts and social media are made in Canva. 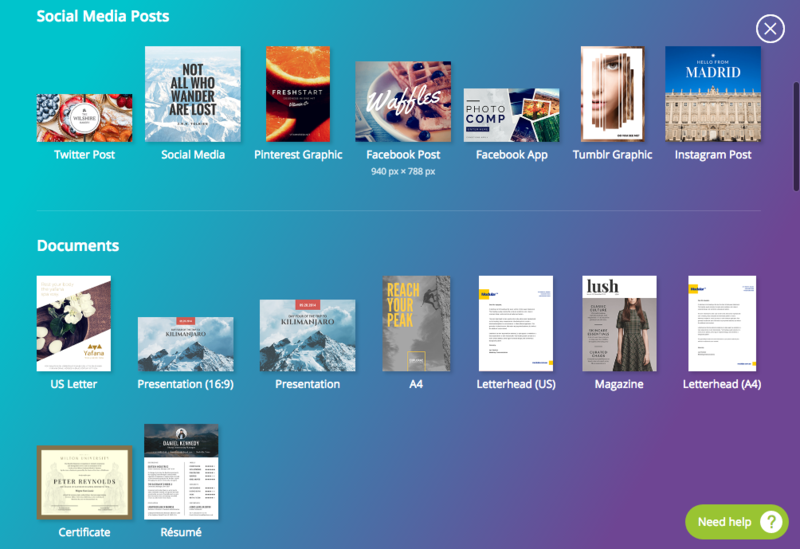 Among the many tools/online apps I’ve used, Canva has proved to be the best one ever. 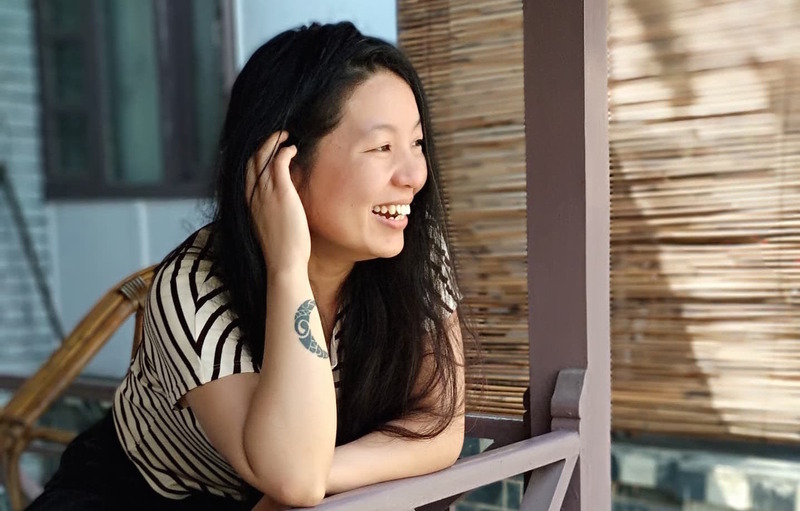 This post is my way of offering gratitude to the Canva team; they are doing the wondrous job. And to have a need for graphics, you don’t necessarily have to be a blogger. Anyone might need some kind of graphics at some point. In this post, I will show you a step-by-step method of using Canva to create graphics as per your requirements and also use it as a learning tool. 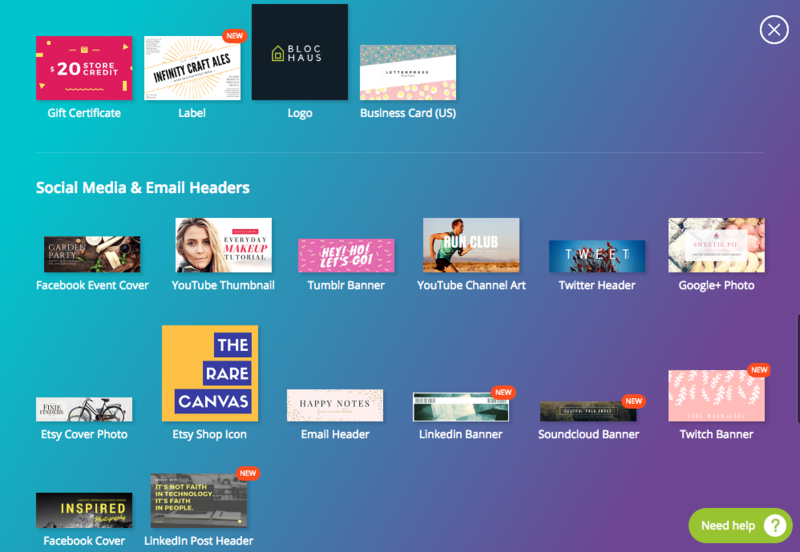 The user interface of Canva is too easy, even for the newbies who have never ever designed anything. www.canva.com on your browser and you will get to the homepage of Canva. You have to sign up before you start using it. You can sign up with your Facebook account or a Google account or an email. There are 46 languages options to choose from. 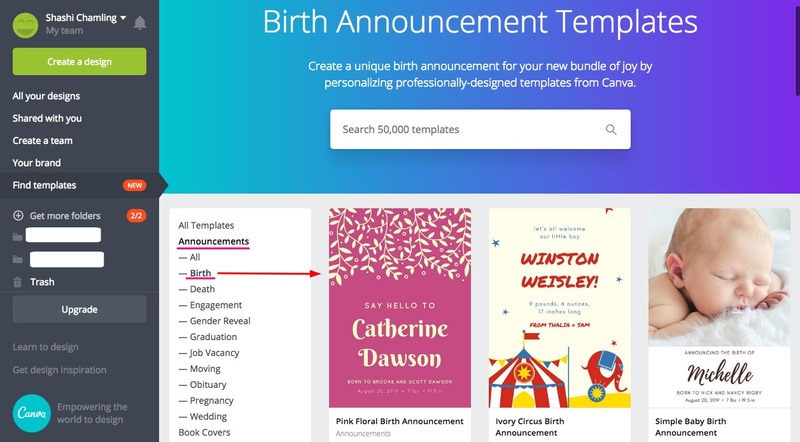 Before signing up you may want to take a look around the resources Canva has put forward for you. I recommend going through the ‘Learn’ section thoroughly before actually starting. It is extremely helpful for the newbies and also to those who already have ideas about graphic designs. 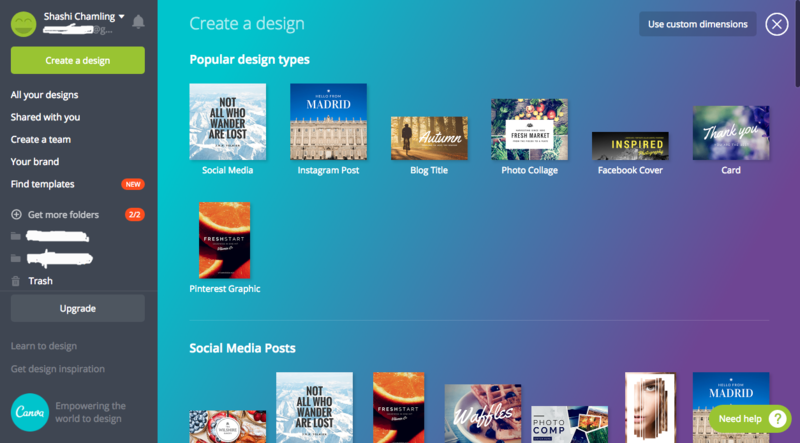 There you will find the tutorials about everything you can do in Canva, blogs, workshops, ideas about designs and creativity, color and font combinations and more. Make sure you go through them. 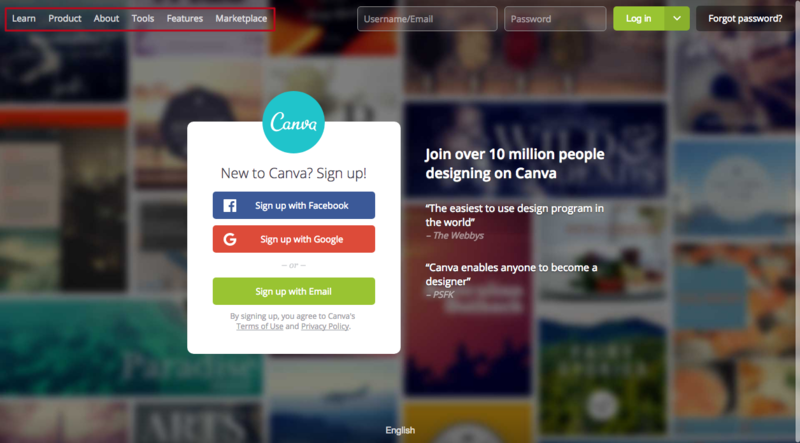 After you sign up, you can log into your canva account and start creating designs you want. This is what you will come to after logging in. You can see various design templates. If you don’t find exactly what you are looking for, which is very unlikely to happen, you can always use custom dimensions to create your own design. You will find more templates from the sidebar. There are way many templates than you can imagine. They have the categories and their subcategories. But you can always create your own design. 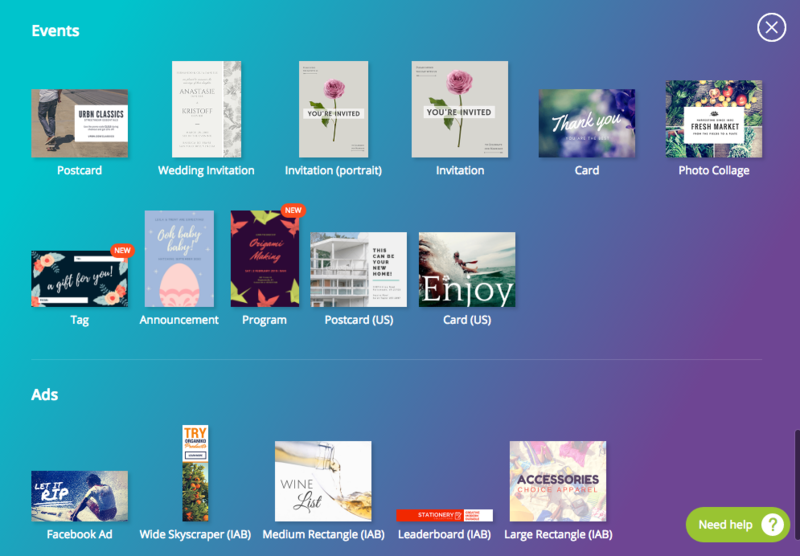 After making your designs, you can create separate folders and categorize them. With the free version, you can only create two folders. If you want more folders then you need to upgrade plan. 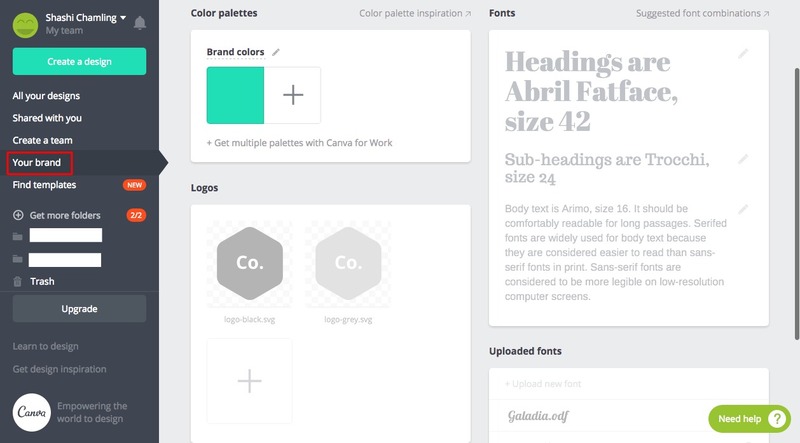 You can save your brand colors, fonts, and logos but you need an upgrade. The Free plan lets you choose just your brand color and no more than that. If you are a solo worker like me, then there is nothing more to fuss about. 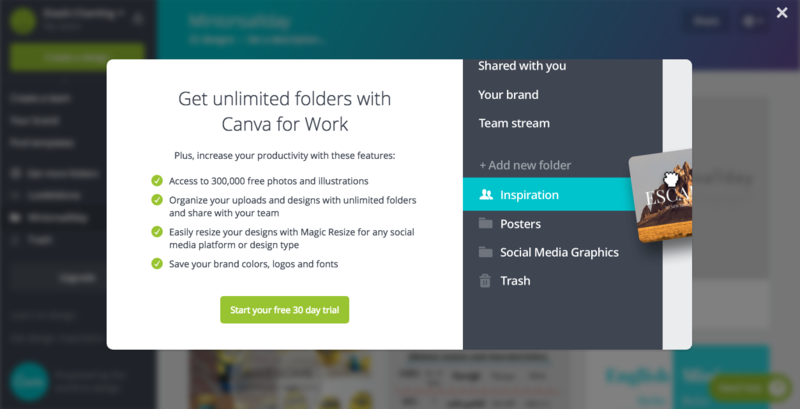 But if you have a partner or a group working on the same project, then Canva has made your task simple. 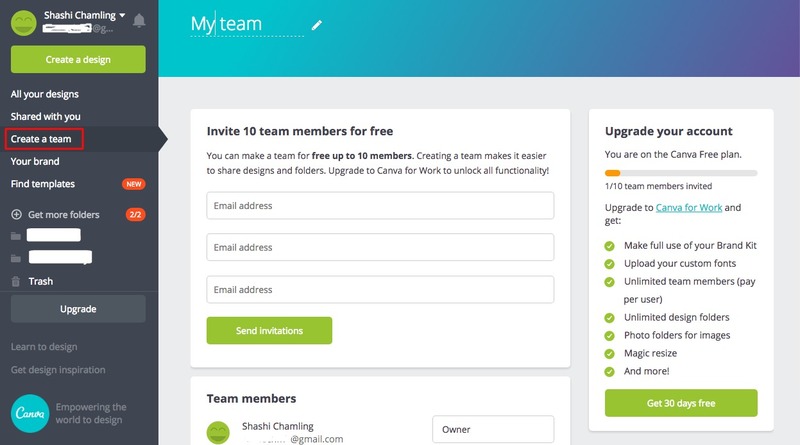 You can create your working team and share designs with each other. Isn’t that great? I use Canva to create graphics for my blog and social media, some websites and their social media I am taking care of and even for my personal use (like a card for a friend). And I am still using a Free plan. Unless you are working on a big project with a team, the Free plan is just enough. But you can get more features and options with an upgraded plan. 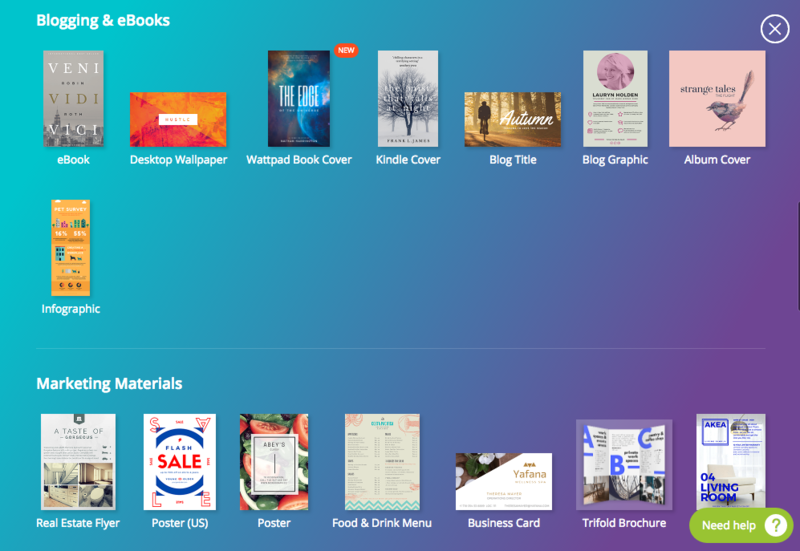 You can use Canva on your web browser as well as your iPad and iPhone. Let me know what tools or apps do you use to create graphics in the comment section.